It's Day 6 of my series on travel photography here on my blog. Thanks for joining me. Tip: Go in April for the tulip festival in Keukenhof. And go early in the morning before a "million" other photographers show up - and show up in your pictures. Bring all your lenses, from wide-angle to telephoto - and your macro. 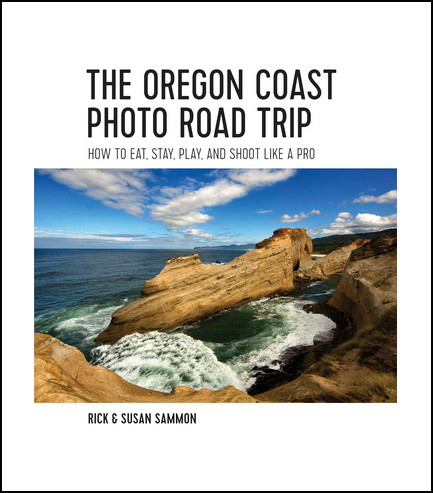 I took the opening pictures for this post with my Canon 15mm lens, and I took the picture above with my Canon 24-105mm IS lens. To get a starburst as you see in the top photograph, you need to shoot at f/22. The flowers in both of these photographs are backlit. Try shootin toward the sun for pictures in which the flowers look as though they are illuminated from within. When dealing with backlit subjects, it's especially important to check your camera's highlight alert. If you like the composition of these photographs, check out my composition class on Kelby training. While in Amsterdam, you'll find tons of photo ops if you walk the streets. My favorite street lens is my Canon 17-40mm lens. You'll find more photo tips in my apps. 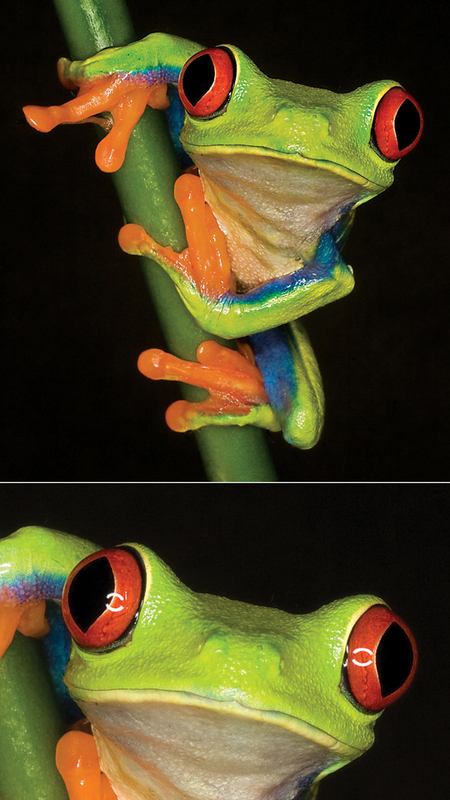 All this week: the Battle of the Close-up Photography Tips: Juan Pons vs. me. Hey, this is all in good fun! For Juan's tip, go to his site. Here are my tips for today: Use a ring light and use it carefully. Then, in the digital darkroom, remove any reflections that the flash tubes may have caused. Ring lights can be costly. An alternative is the Ray Flash. Here is a movie I made about the Ray Flash. Good fun and good product. I like using ring lights over flashes because, by adjusting the power output of the flash tubes, you can get shadowless lighting, as well as ratio lighting. You can also get top, side and bottom lighting. When you are working in the digital darkroom, look for reflections of the flash tubes in the subject's eyes. You can easily remove reflection with the clone stamp tool. Ring lights are designed to be used on true macro lenses. 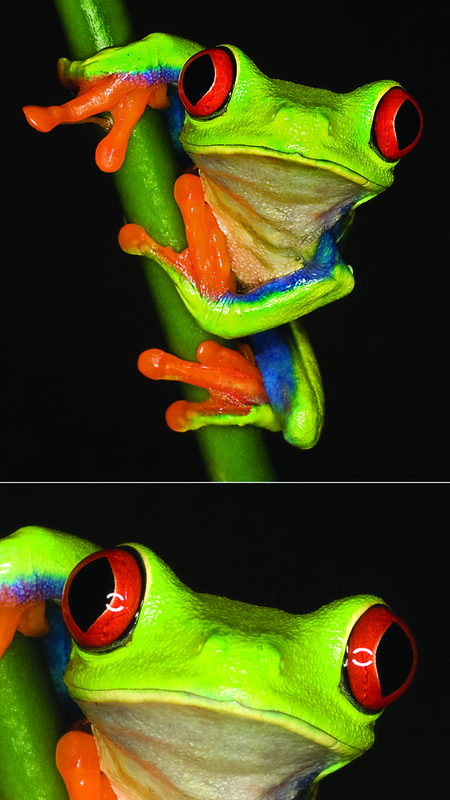 I took both of the close-up photographs in this post with my Canon 100mm macro lens. For more info on close-up photography, and photography in general, check out my apps. Click here to start the photo fun! 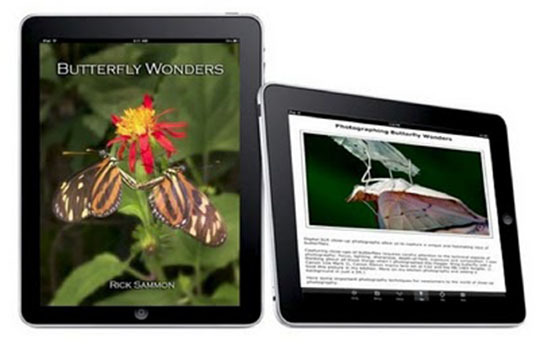 Juan and I developed Butterfly Wonders (which features a section on close-up photography) and Life Lesson We Can Learn From Mother Nature together. 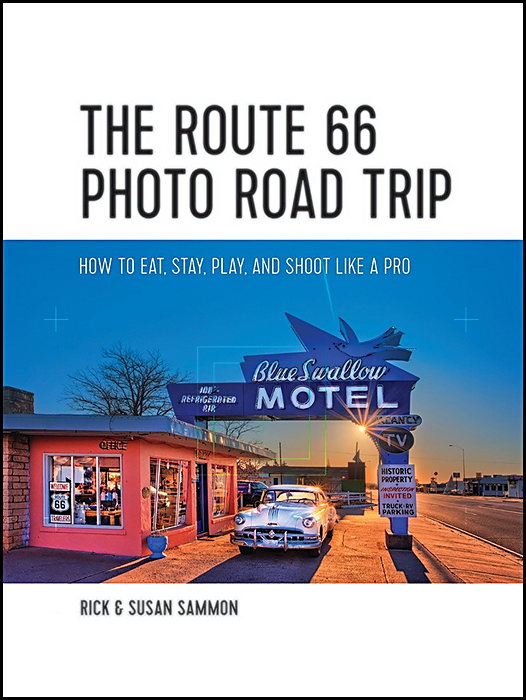 First there was the "Battle of the HDR Photo Tips" with my friend Trey Ratcliff. Type "Battle of the HDR Tips" in the search window of my blog to see the different rounds. Well, the next battle will be the "Battle of the Close-up Photography Tips," with my friend Juan Pons. Juan and I enjoy doing the Digital Photo Experience Podcast. 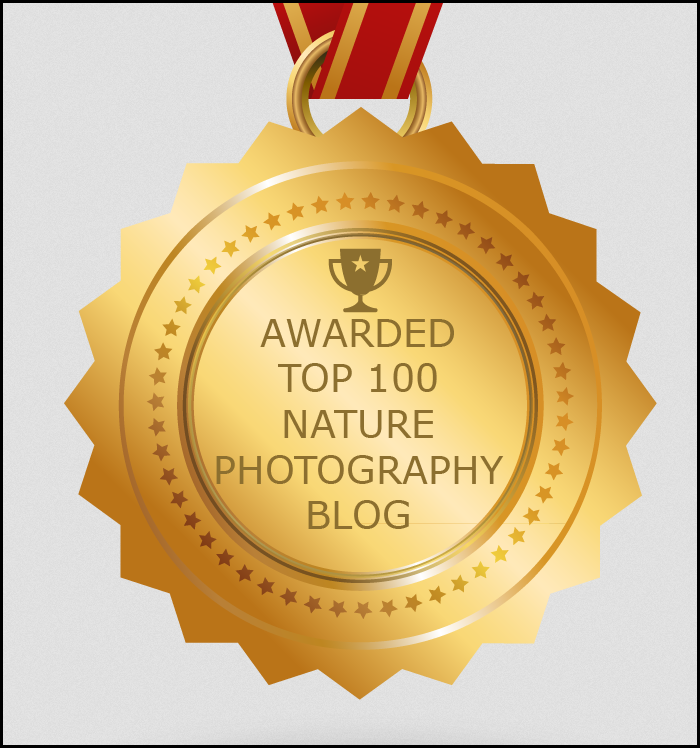 But heck, first and foremost, we are photographers. So, our week-long "battle" will be a blast. Here's a quick tip for starters: If you are serious about close-up photography, get a ringlight. A ringlight can produce shadowless lighting and ratio lighting (because you can adjust the flash output of the flash tubes). 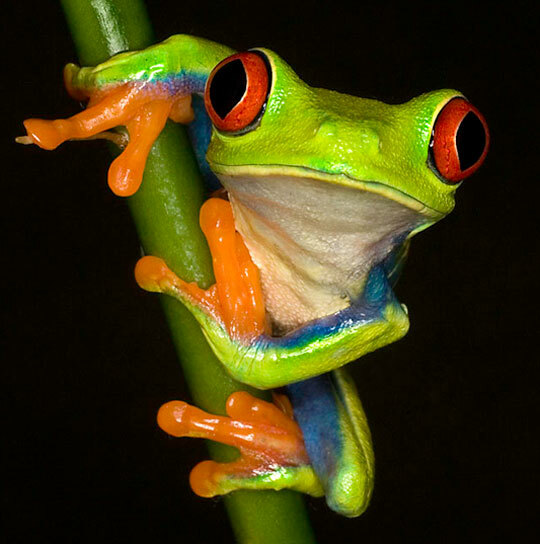 It lets you shoot hand-held close-up photos – like my photo of this red-eye tree frog. A ringlight also lets you shoot at small apertures for good depth-of-field. 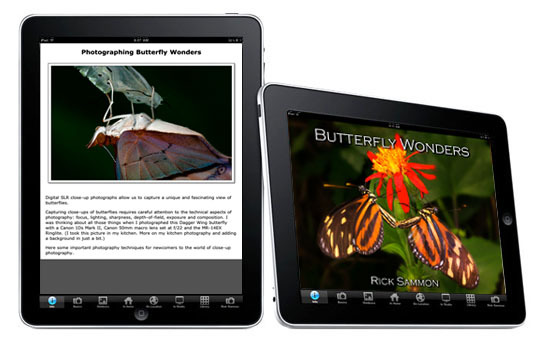 Hey, if you like close-up photography, and butterflies, check out the iPad app that Juan and I developed: Butterfly Wonders. 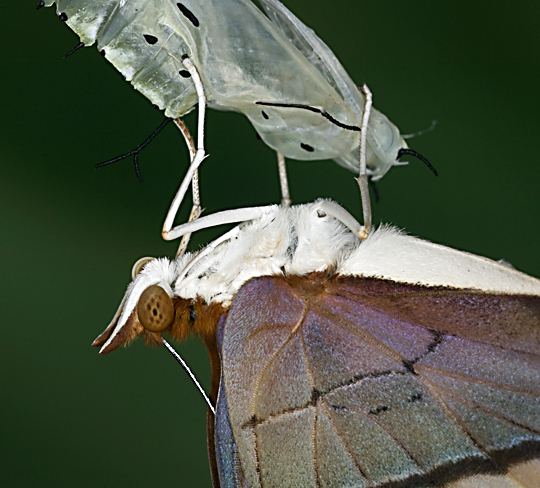 I am just finishing up a new project on butterflies. Directly between the eyes of the Precis coenia is a pair of palpi that are widely thought to be used for cleaning the eyes, as they are often seen brushing across the eyes while feeding or at rest. Click here and scroll down to see a list of my gear. When adding light, a ringlight is a good choice. 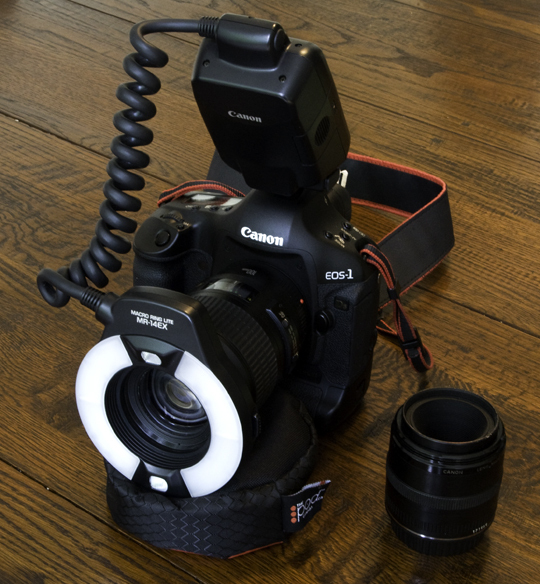 A ringlight fits around a lens and can provide ratio and shadowless lighting. The light from a ringlight also adds contrast to a picture, making it look sharper than a natural light photograph. I used a Canon MR-14EX ringlite on my Canon 100mm macro lens for this picture. You could use a camera’s built-in flash, or an attached accessory flash for close-up flash pictures. If you do, you will probably get a harsh shadow in your picture – caused by directly light or because the lens or lens hood is shading the subject from the flash.